This is the face of a very happy dog! Nothing can make this boy smile like doing the job he was bred to do. … are better than one! Now that song will be stuck in my head all day. 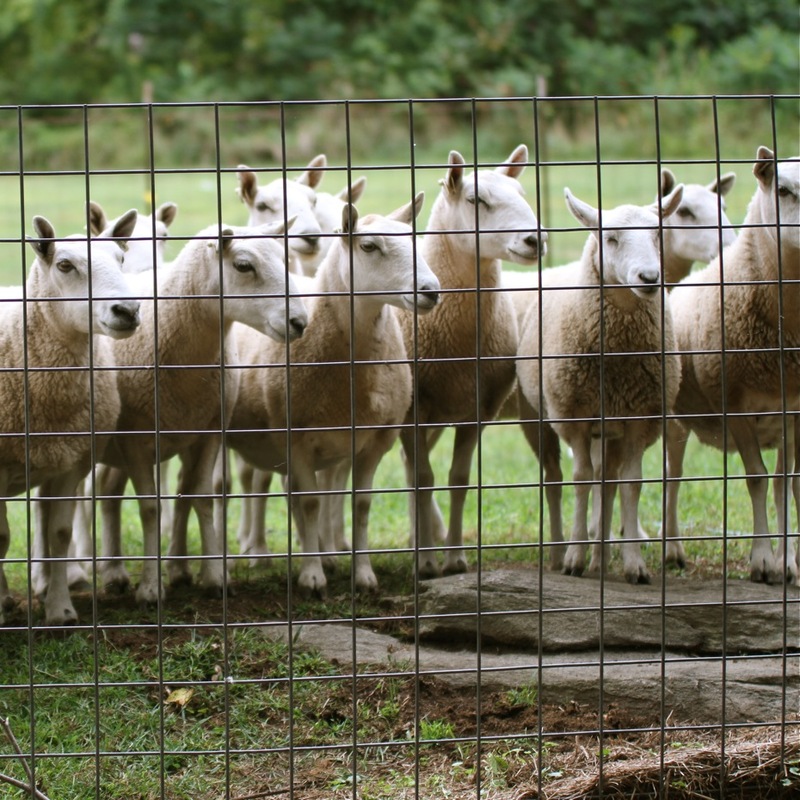 But on another note, we went herding yesterday. 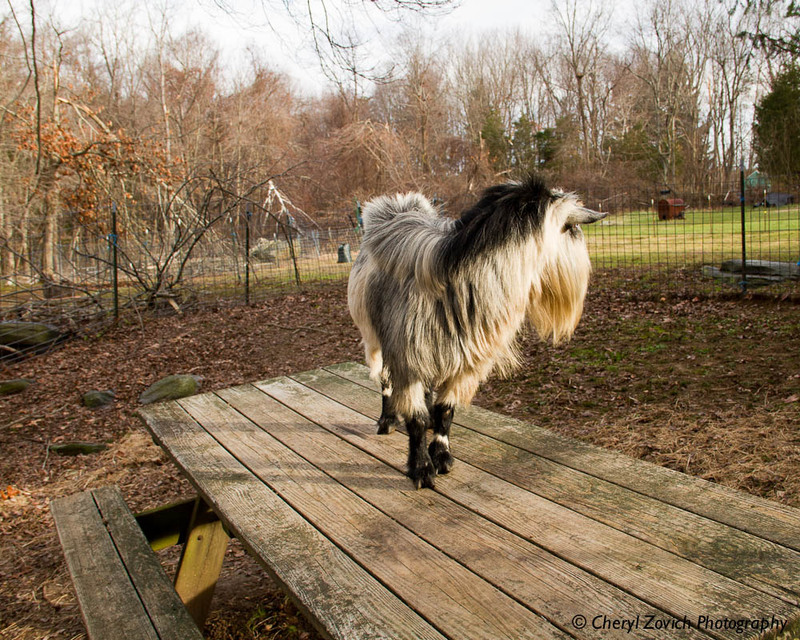 We’ve been working the Pigmy goats a few weeks now and Hazer is really making some nice progress. 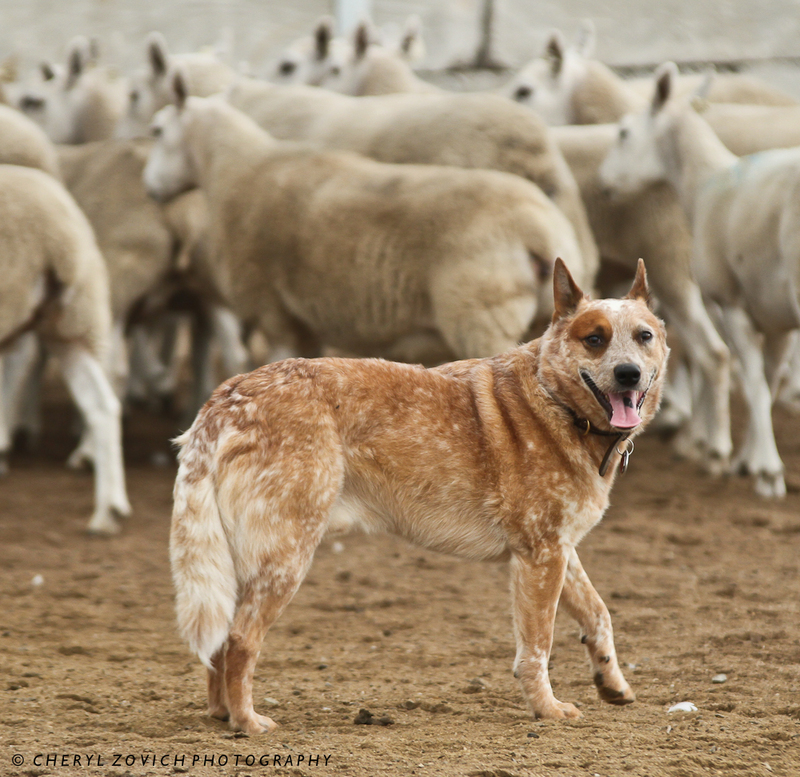 It’s amazing how a herding dog changes their approach to reflect the type of livestock they’re working. 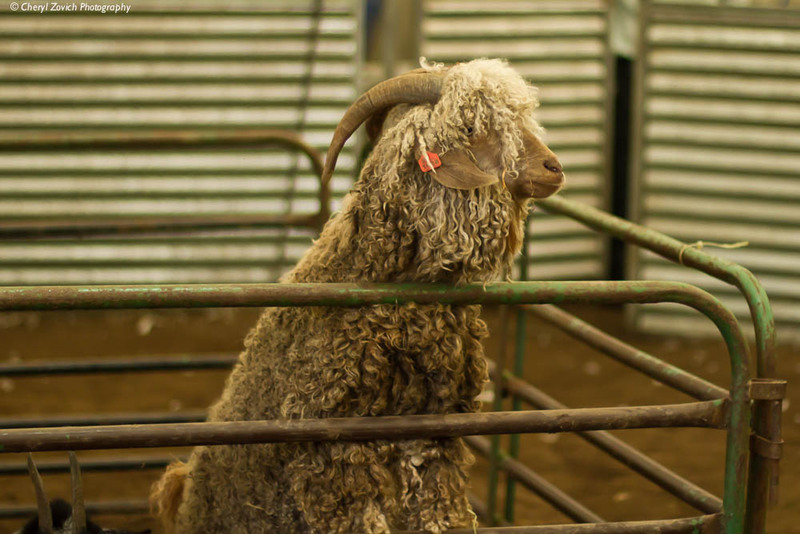 We specifically chose to work the little goats because they have enough quickness and speed to keep Hazer on his toes, but also enough resistance to help him gain more confidence when they get bunched up in the corners of an arena or hop up on an obstacle. Sure, it would be fine to work livestock that moves gladly along, never offering a hint of resistance or flight, but that wouldn’t teach my dog how to handle everyday situations around the farm. Here, we don’t need a dog to drive livestock to the market, what we need is a dog who can gather and push them from place to place. And often on a small farm that means having to learn to navigate things you’ll never find on a trial course. 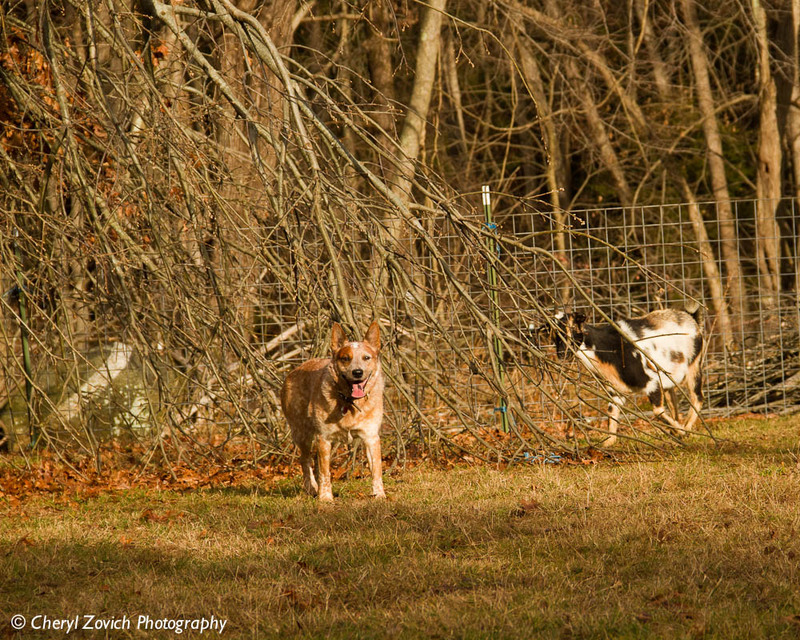 Hazer has been showing great improvement in listening and self-restraint. He’s looking more to me for direction and taking matters into his own hands less often. While not always the fastest dog, he’s capable of rating his pace so he can work for long periods without tiring. He never ever quits on the job at hand and when we make him take a little break he can’t wait to go back to work again. The more I herd with this dog the better he gets! 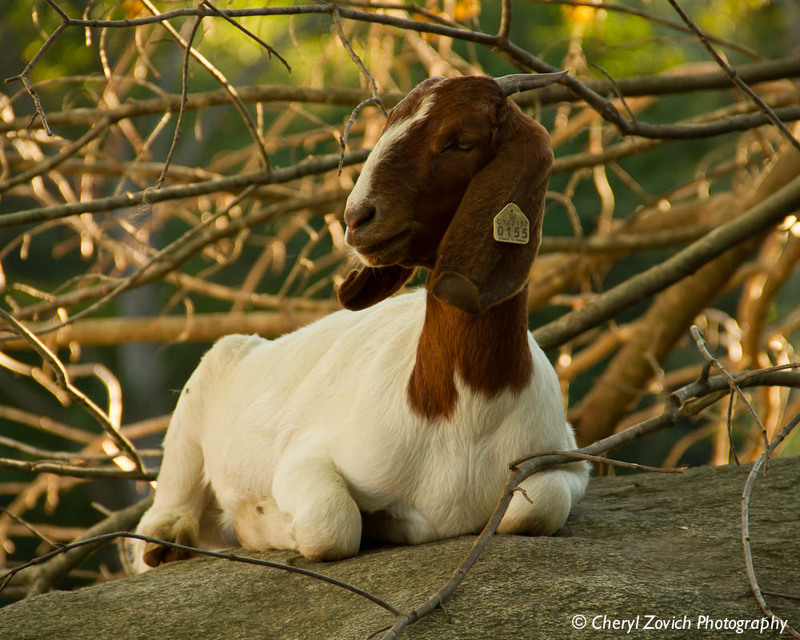 Even though I’m not a huge fan, it’s pretty hard not to like these little goats. There’s something about the floppy ears that give them a soft and woeful expression. But actually, they’re pretty tough and they don’t hesitate to hold their ground when my dog tries to move them off their lofty stone fortress. This little cutie was catching the last warm rays before sunset and I didn’t have the heart to disturb him. 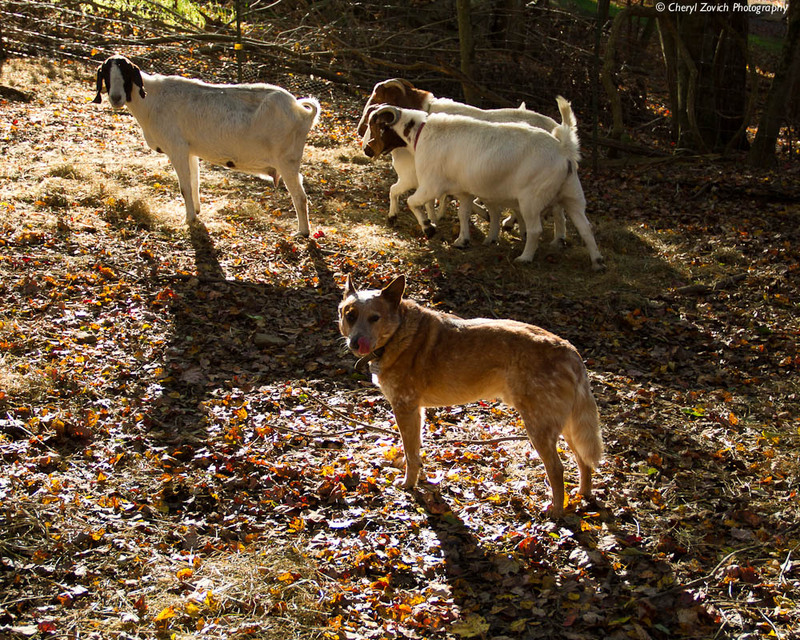 This photo is from last week’s herding session; a rare moment when Hazer had been told, “There” and was (against his better judgment) complying. When your back is up against a wall it’s good to have the help of a friend. P.S. 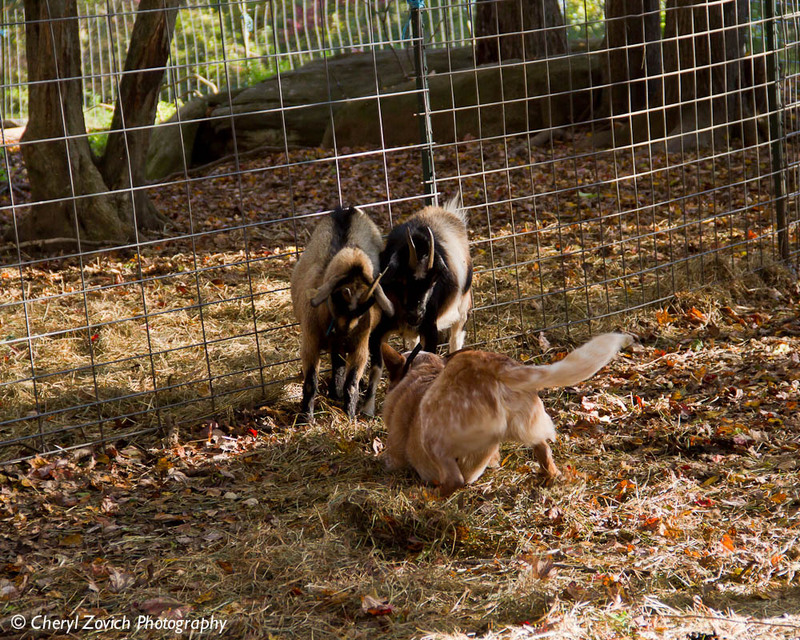 No goats (or dogs) were harmed to obtain this photo! 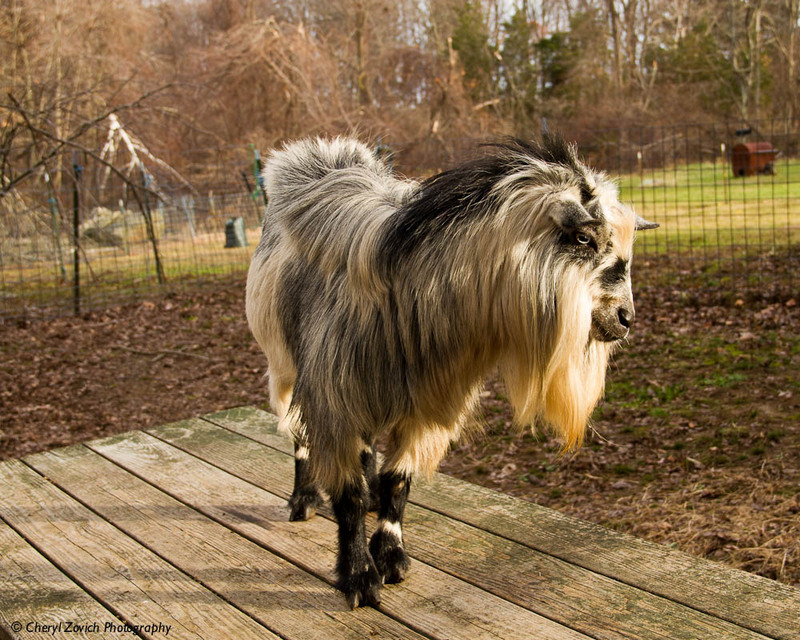 I’m not a big fan of goats, but I have to admit I’m a tad enamored with this one. I guess the saying is true: Beauty is in the eye of the beholder!